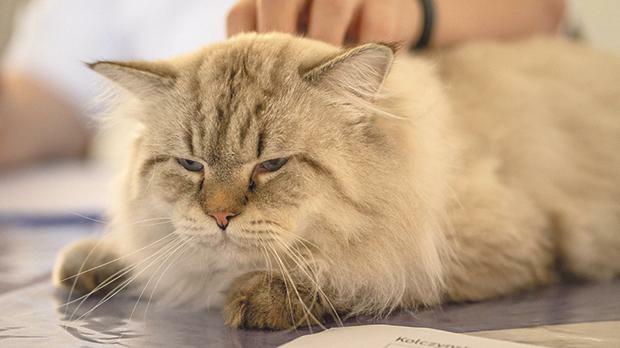 More than 85 cats will be putting on their best fur coats this weekend in an attempt to woo judges with their feline beauty during the World Cat Show organised by the Malta Feline Guardians Club. Household cats will join the furry Persians, Balinese, Bengals, British Shorthairs, Burmese, Devon Rex, Exotics, Himalayans, Mainecoons, Ragdolls, Scottish Folds, Siberians, Siamese, and the not-so-furry Sphynx to take part in this beauty contest. The club has invited WCF all-breed judges from Germany, Belgium, Italy and Russia to judge the contest being held this Saturday and Sunday at the Montekristo Estate, Ħal Farruġ. The show is open between 9.30am and 8pm on Saturday and 10am to 6pm on Sunday. Entrance is free. For more information visit www.maltacatshows.com or the Facebook page Malta Cat Shows.